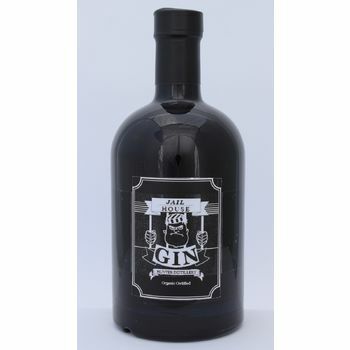 Wondrously crafted from gin and other lovelies! 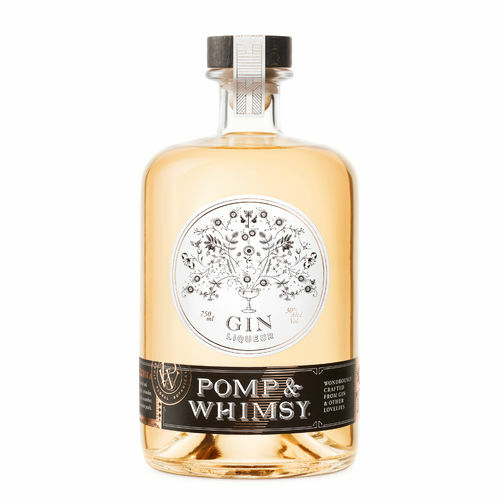 Pomp & Whimsy brings modern sensibilities to the tradition of gin making by infusing classically distilled gin with a natural, delightfully flavourful botanical liqueur. The result is a highly refined, yet playfully sensorial spirit, that is both graceful by itself, and effortlessly dressed, up or down. 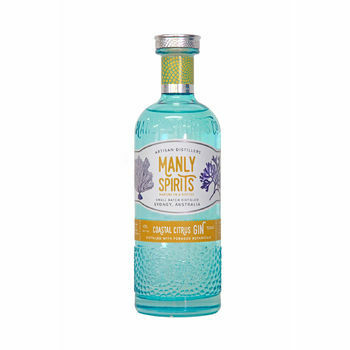 Wondrously crafted from gin & other lovelies: Made from scratch in Los Angeles, CA from a select blend of 16 natural and whole ingredients, including juniper, coriander, angelica, grapefruit, bitter orange, cucumber, lychee, raspberry, lavender and jasmine. 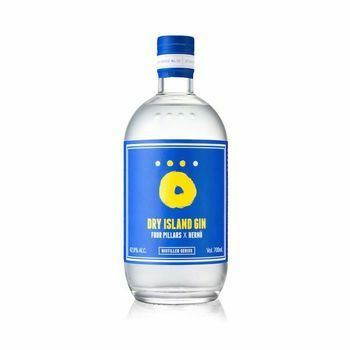 First a classically distilled gin is crafted, infusing the florals, botanicals and citruses into a neutral spirit base, and redistilled to create a highly refined and elegant gin. 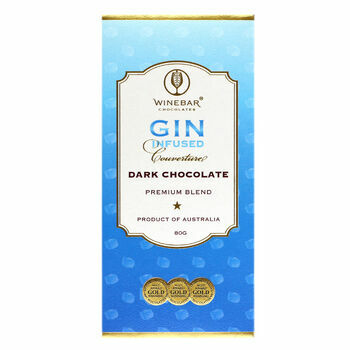 In a second round of infusion, exotic fruits, spices and more citrus are left to immerse in the gin for up to 10 days. 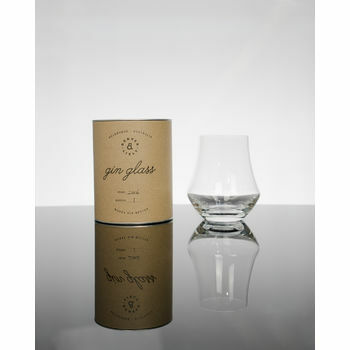 The final spirit is then twice filtered for a clean finish, while carefully preserving the rich natural aroma. Fruit-floral-botanical. 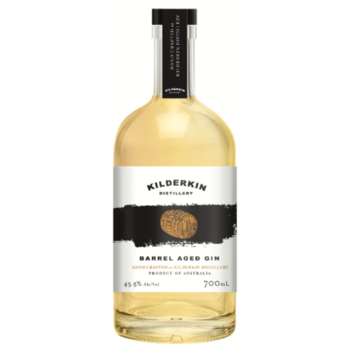 Light citrus and exotic fruits on the start, evolving into a dry, warm spice finish, with a familiar suggestion of citrusy juniper on the tail. 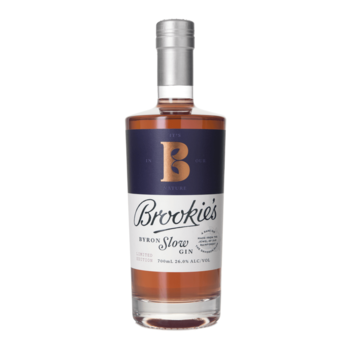 Subtly sweet and eminently quaffable. Enjoy a generous pour simply over ice, or with soda, tonic or champagne. 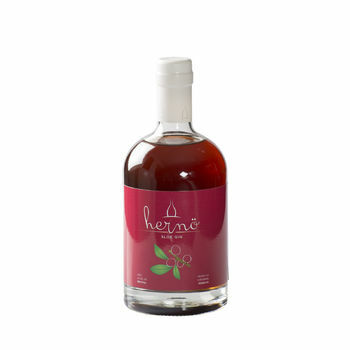 Enliven with perfectly ripe fruit or fresh herbs. And whirl in your most charming fanciful glass. 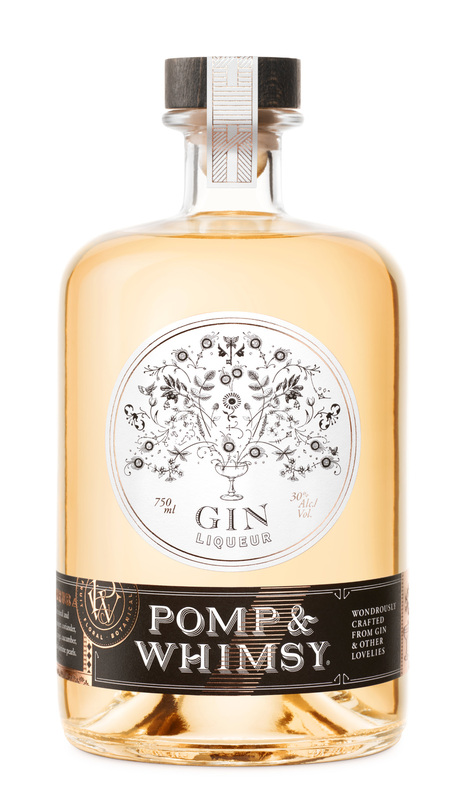 Pomp & Whimsy can replace gin in classic cocktails, and/or be a substitute for aromatic liqueurs. 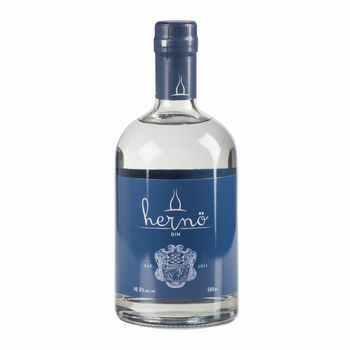 Used as a modifier, Pomp & Whimsy harmonizes flavours in a cocktail, while adding its own unique notes. We suggest several amazing cocktails . . . please see our suggestions here. Wine Enthusiast, August 2018 - 94 Points: “This is lightly sweet, distinctly (but not overly) floral and compulsively quaffable. 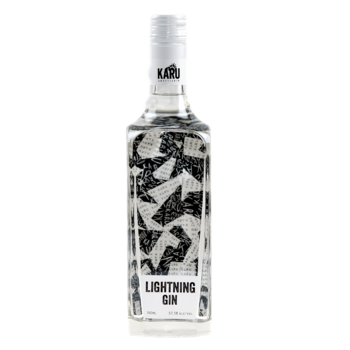 You'll want to add this cucumber-dominant gin liqueur to spring cocktails, although it also sips surprisingly well straight up." 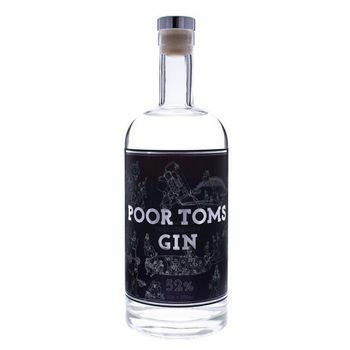 Back in the 1800s, Victorian liquor sellers used sugar and other flavourings to make the low-quality gins of the time more palatable for their customers. 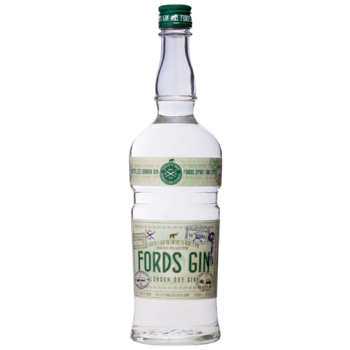 These highly popular “gin cordials” were cheaper, lower proof and easier to drink than the “dry” (unsweetened, undiluted) gin that came straight from the barrels. 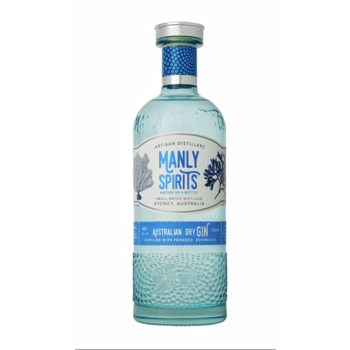 However, with the invention of the Coffey still, the production of high-quality gin eventually became more commercially viable, and by the turn of the century dry gin caught on as the preferred style of spirit. 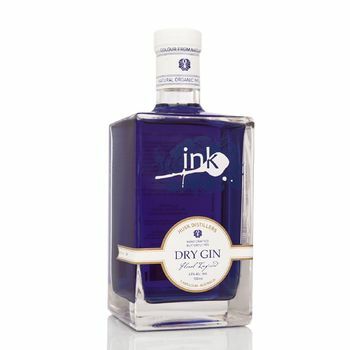 For Victorian women, who were the chief home distillers and recipe makers at the time, the infusion of additional fruits or botanicals into gin made for a richer sipping spirit, and indeed the base of the very first “cocktail” (i.e. gin, sugar and bitters). With Pomp & Whimsy, we set out to breathe new life into this long-forgotten tradition, while simultaneously updating it for a modern palate. Bringing fancy, modernity, and dare we say it, even a touch of femininity, to this stuffy, old world spirit.